Today we’d like to introduce you to Steve Antti. I have been writing songs, recording albums, and performing for quite a few years. I wrote a song and played it for a woman who started crying as I played, which changed my life. I had been involved with sports and had never made someone cry based on my performance. I was blown away at the power that was released as I shared my story through music. I was motivated to learn more about music and began to write and perform in a band when I came to San Diego to attend Point Loma College. Surfing has been a big part of my life since I was a little boy learning to surf in San Clemente. Music and surfing have always gone hand in hand for me as I have been traveling down this road of life. A door opened for me to teach school in New Zealand and as I was there for a year. I traveled throughout the country surfing and playing music for various festivals and on the beach for surfers and tourists. 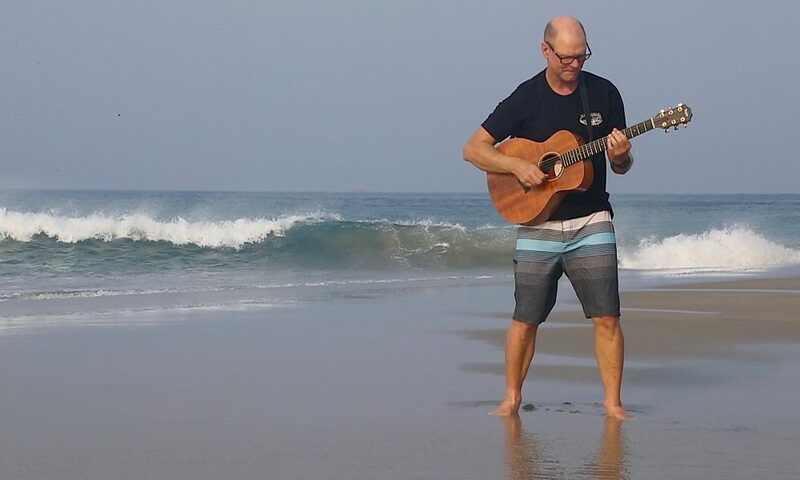 Surfing and traveling with a guitar have been a big part of my life as I have been able to play in various countries on my own and with my band. 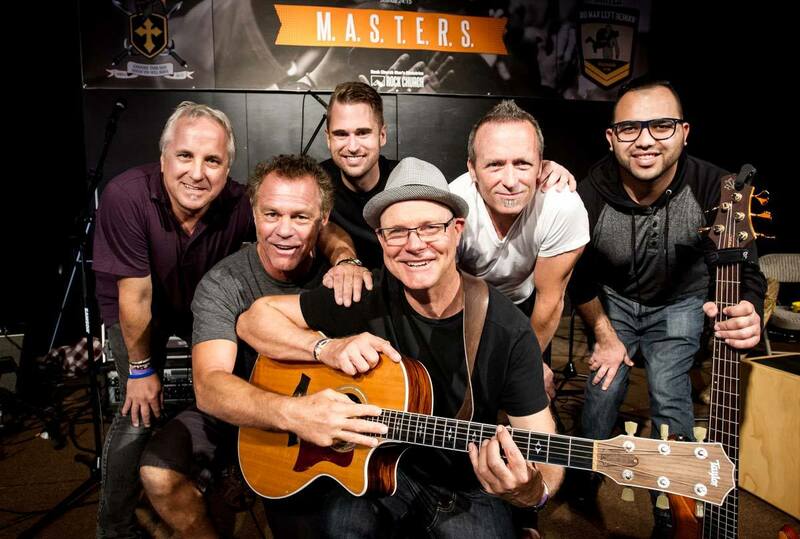 I have been a worship leader in San Diego playing for some of the largest churches in town. I currently lead worship at the Rock Church and Cornerstone Christian fellowship in Vista. I have two new Albums. One called “Surfing the Jetty” which is a collection of songs that have the vibe of living on the beach in California. 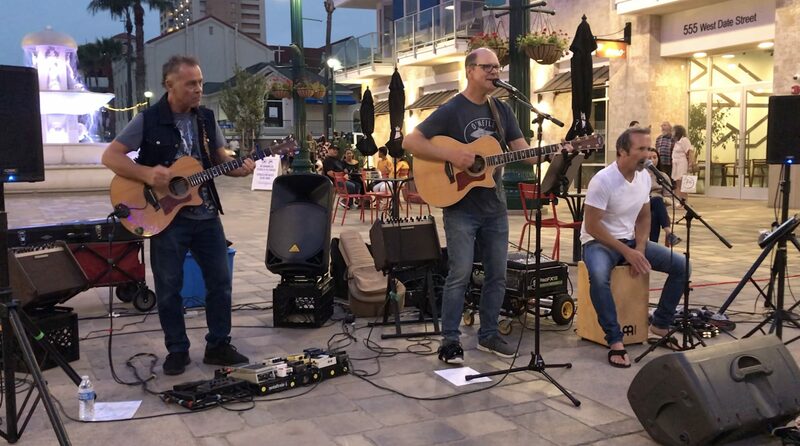 It has a few cover songs “California Dreaming” “Ventura Highway” and the surfer’s favorite hit song “Surfing the Jetty” the music will make you feel good and enjoy a day at the beach. My other album entitled, “Lead the Way” featuring the song “My God He’s So Good”. My music has a California beach sound – a style near and dear to my heart. 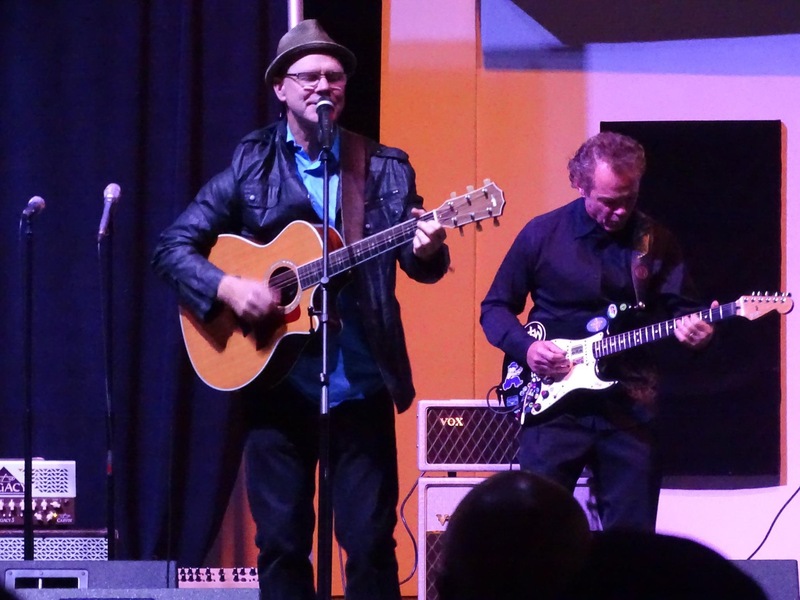 I have played music with a variety of styles ranging from rock, acoustic, jazz and everything in between. I have recorded ten CD’s in all, and most of my music can be found on iTunes, Spotify, and Bandcamp. I am an avid surfer and can be found surfing all around San Diego especially at the Jetty in Ocean Beach. I have traveled the world taking my guitar and board with me playing with others that love to do the same. My desire is to play music that encourages people and makes them feel good. I have so many stories to tell through my music. 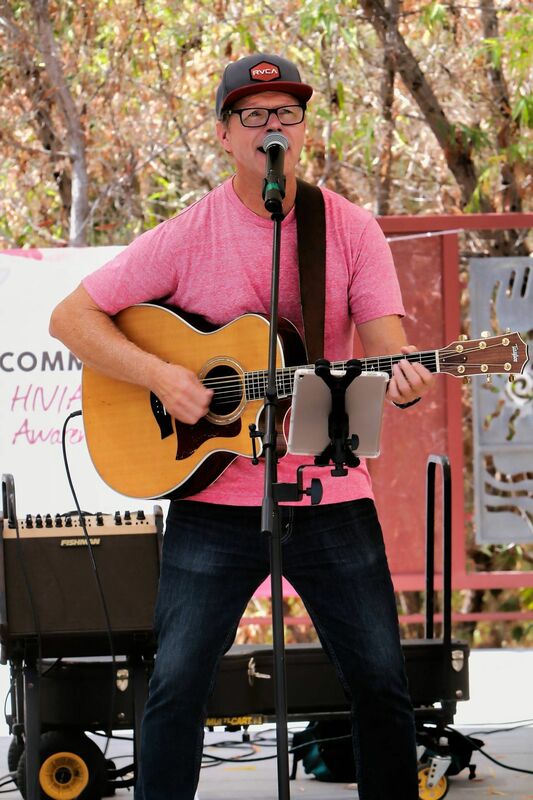 I have played at the Del Mar Fair, Seaworld, Little Italy, various camps and retreats. I also toured in Germany, New Zealand, Australia, Nicaragua, El Salvador, and Mexico. I am currently playing music out in public, in places like Little Italy in the Plaza near the fountain. I enjoy doing some songs from the 60’s and 70’s and then mixing in my own music which people are enjoying. I have been releasing single songs and just finished making a video about Surfing the Jetty. I am enjoying the opportunity to surf every morning and then play music for the rest of the day. Life has always had challenges like going through a divorce and dealing with the pain of my family breaking up. Music and surfing have been a great help to bring me through it all. 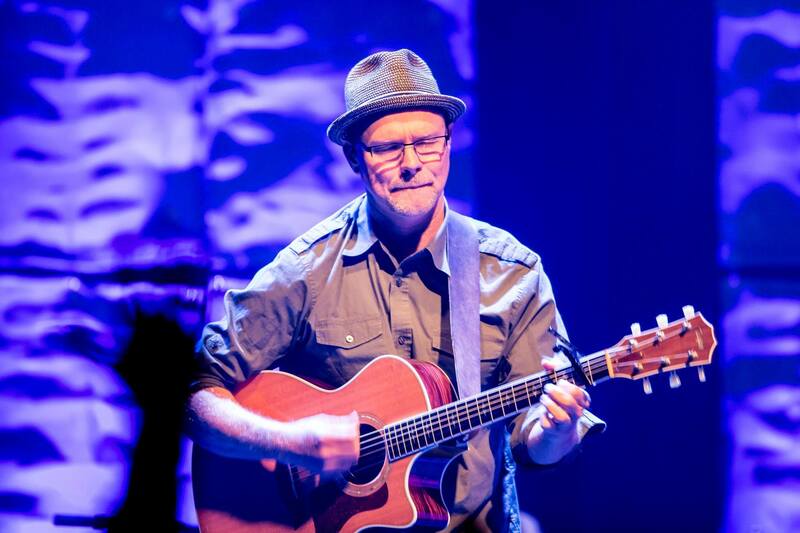 I really enjoy writing songs about this journey and how we can keep going forward even though it has been difficult, but God works all things together for good for those whose love him and are called according to his purpose. I am a musician that has the heart to play music that makes people feel good about life. I have surfed my whole life and see how music and surfing are connected in keeping you young at heart and dealing with the pain and struggles of life. My music encourages people to move and celebrate life. It has a wide range of styles from rock to reggae with harmonies that sound like the music of the seventies. I have been influenced by Jack Johnson as a fellow surfer that plays music that is positive. 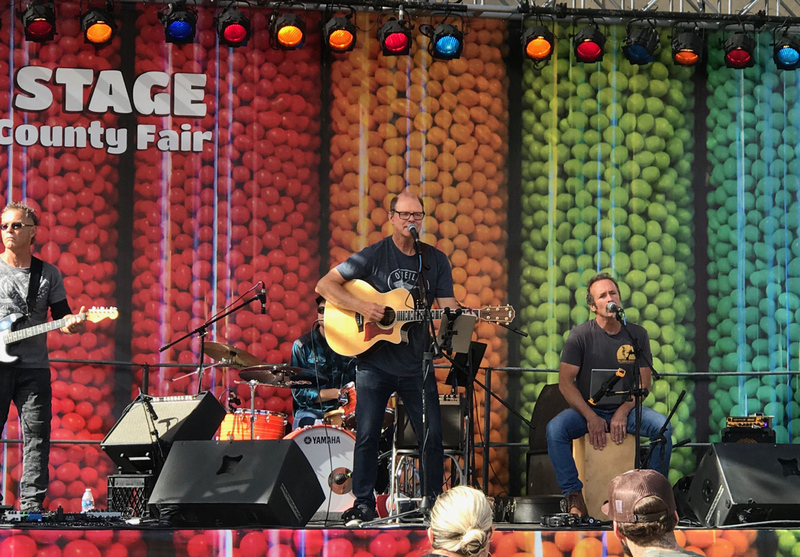 I enjoy playing events that are in public like the Del Mar Fair and the plaza in Little Italy. I also play on the beach or in parks throughout the city. I lead worship at churches, and I’m available for retreats and private functions. I write music for children and schools and have videos on YouTube showing what I do. I have written songs for companies that need jingles for their product. I even have written political songs about our country. One more thing I do is write music putting scripture to music to help people memorize the words. I am available to produce music in my recording studio and write songs with other musicians. I play with a trio right now and also play on my own. I have a band that I use for larger venues called the Steve Antti Band. Being successful in life is all about attitude. A good attitude will change the atmosphere of the room and will influence people to also have a good attitude in the midst of challenges. I have a story to tell in life and success is doing my best to tell it well, through music and the way I treat others. When I paddle out into the surf, I hope to bring a positive attitude and encourage others as they catch waves and enjoy the journey of life with them. 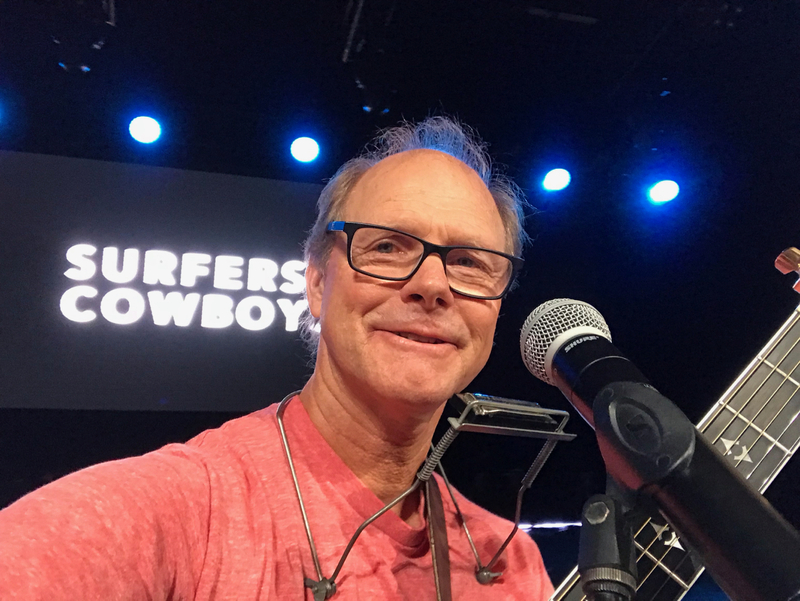 My song “Surfing the Jetty” captures that perspective and brings joy to those who listen to it. I have another song called “My God He’s so Good” that people sing which helps take the focus off their problems and thanks God for his goodness and gifts we receive every day. That is success! Thank you Steve for giving to the LORD. You are a blessing. Still love that song.